I’m in the process of writing up the review for the Mission Workshop Vandal. 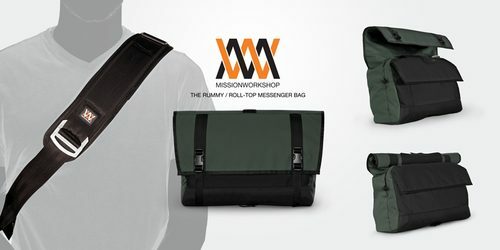 When I hopped over to their site just now to check out some of their specifications, I noticed at the top of the site a link to their new roll-top messenger bag called the Rummy. Looks interesting! Head on over to read the specs and description.